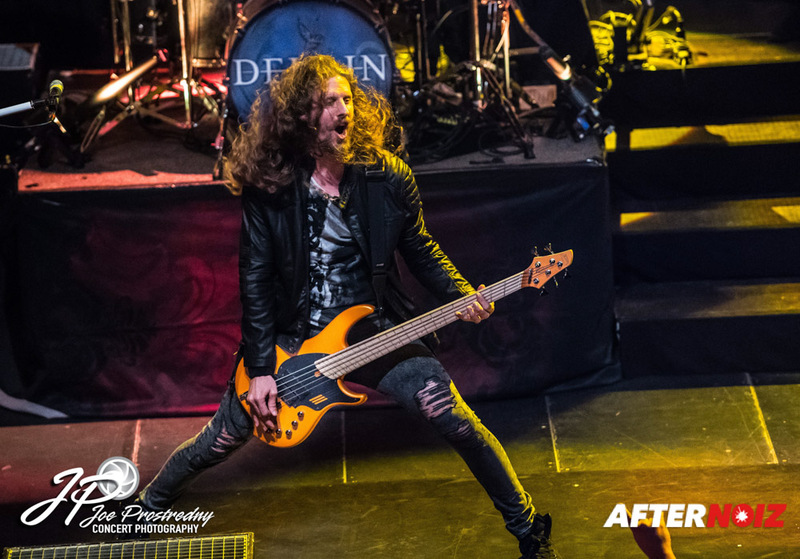 2016 was a big year for Delain. 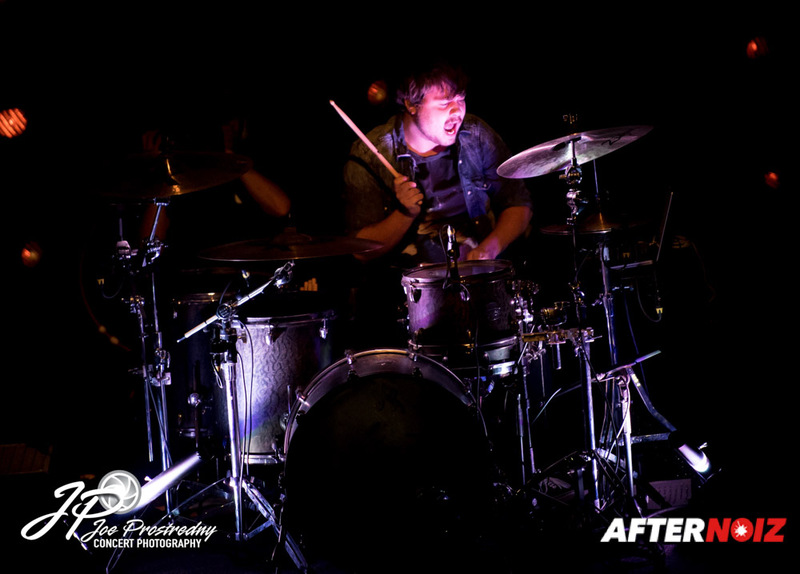 Not only did they release their stunning 5th full length studio album, “Moonbathers” …. The year also marked the 10th anniversary of the release of the band’s first full length studio album, “Lucidity”. 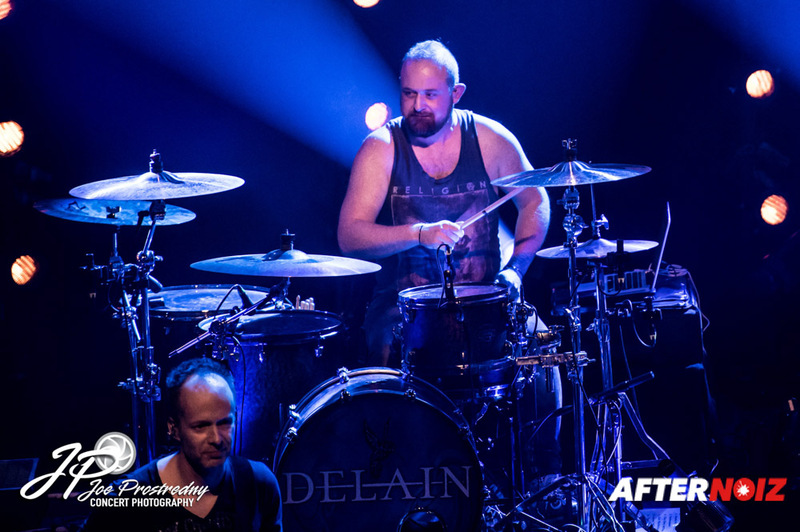 Ten years is a big milestone for any band, but for Delain, it was possibly even more so, as, ten years ago, they really couldn’t have imagined that they would be where they are today. 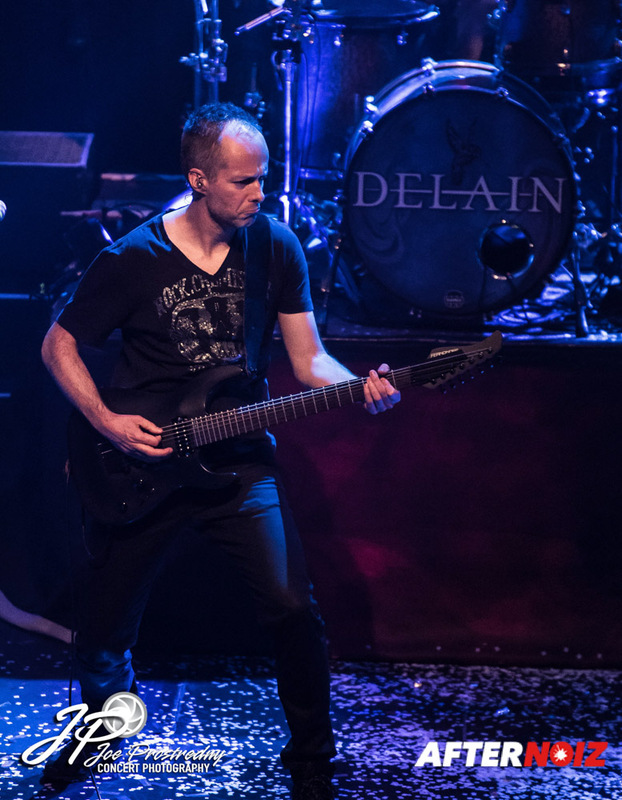 Delain was the brainchild of keyboardist and composer Martijn Westerholt, who along with vocalist Charlotte Wessels formed the musical project that would ultimately release the Lucidity album. 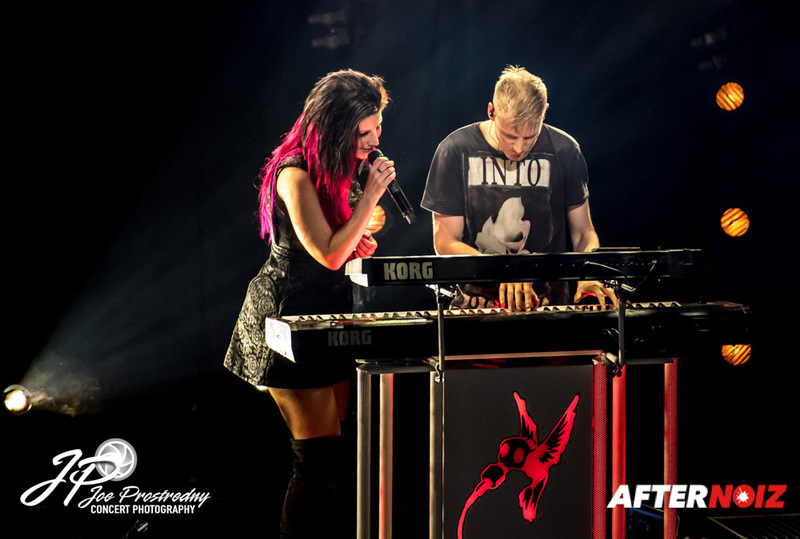 The talented pair brought together several guest musicians to perform on the album which was intended to be a studio project only. 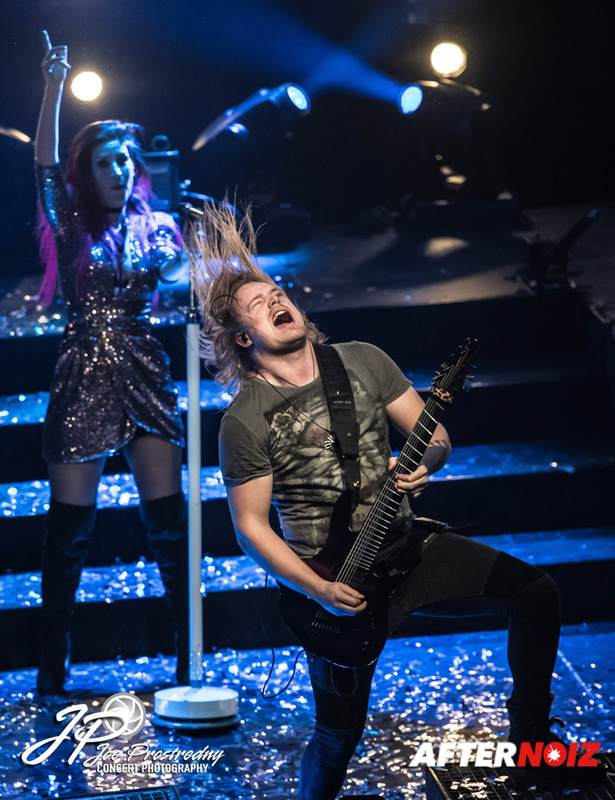 But the success of the album and pressure from fans changed all of that… leading Martijn and Charlotte to transform their studio project into a touring band. 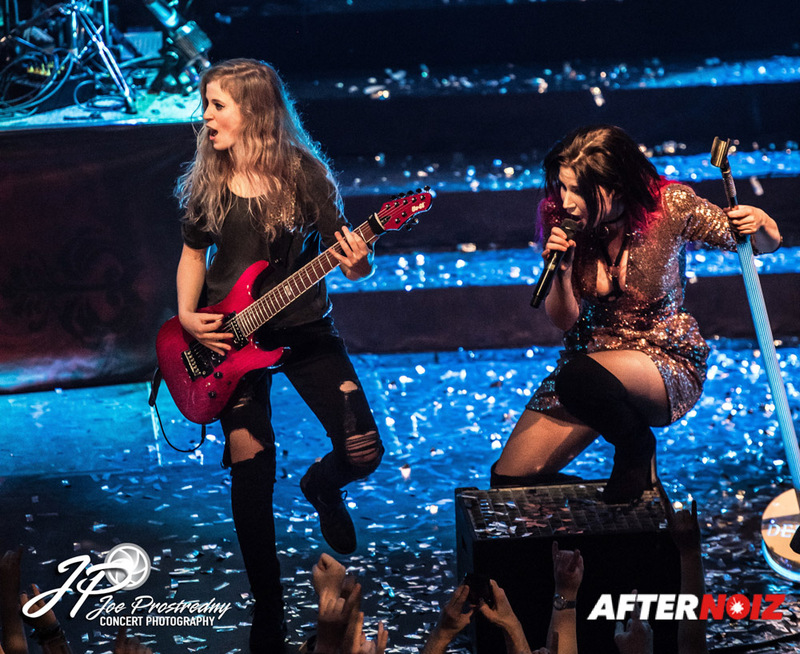 Now, a decade later, Delain has played for millions of fans and toured the world several times over. 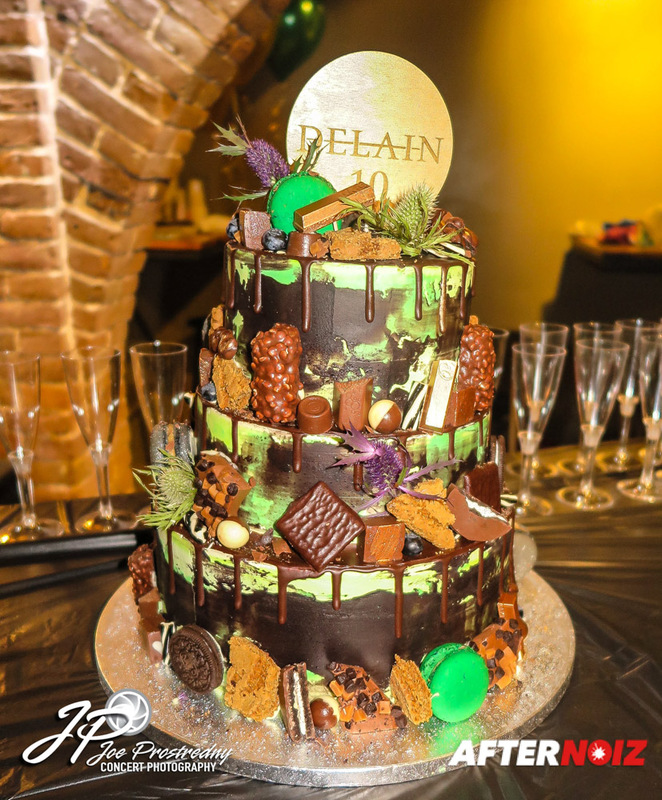 To celebrate a very successful decade, Delain released a special 10th Anniversary edition of the “Lucidity” album…. But they didn’t stop there. 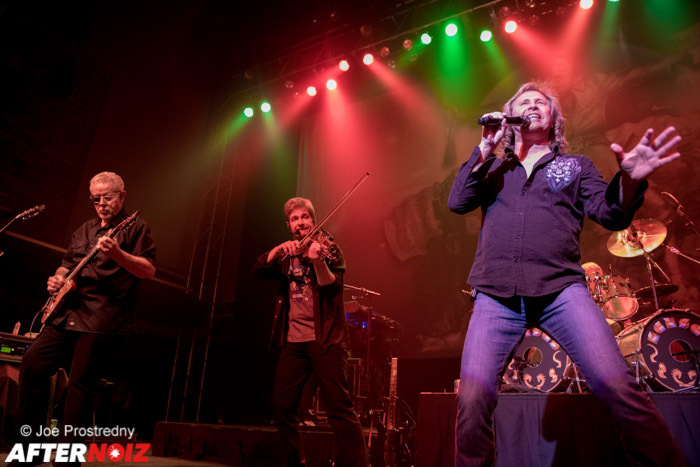 The band felt a party was warranted, and set about planning for a huge birthday bash including a special concert with guest musicians from Lucidity as well as their other albums. 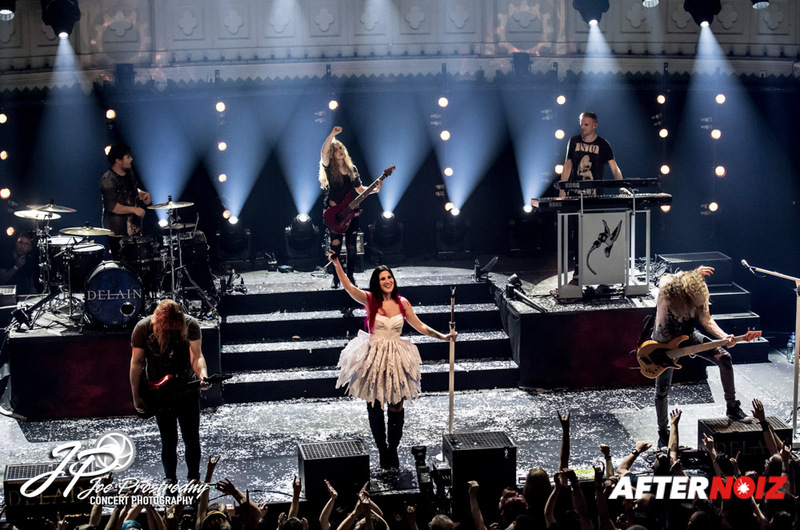 The concert was to take place at the beautiful Paradiso theater in Amsterdam. Located in the heart of Amsterdam, the Paradiso was originally a beautiful 19th century church that was converted to a concert hall in the late 1960s. The venue is stunningly beautiful with a soaring ceiling and two levels of balconies surrounding the main floor and overlooking the stage. It was a great choice for a birthday celebration. 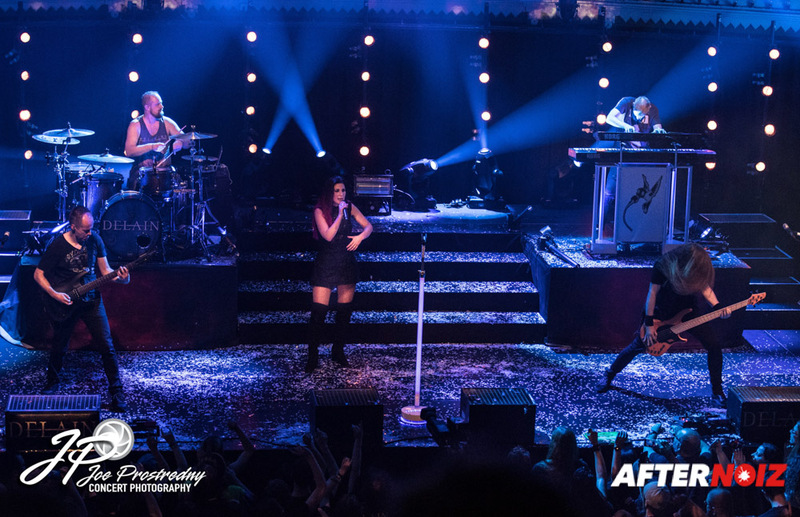 Fans from all over the world were in attendance and the show was completely sold out. But for those fans unable to attend… the event was filmed for a live DVD to be released in 2017! 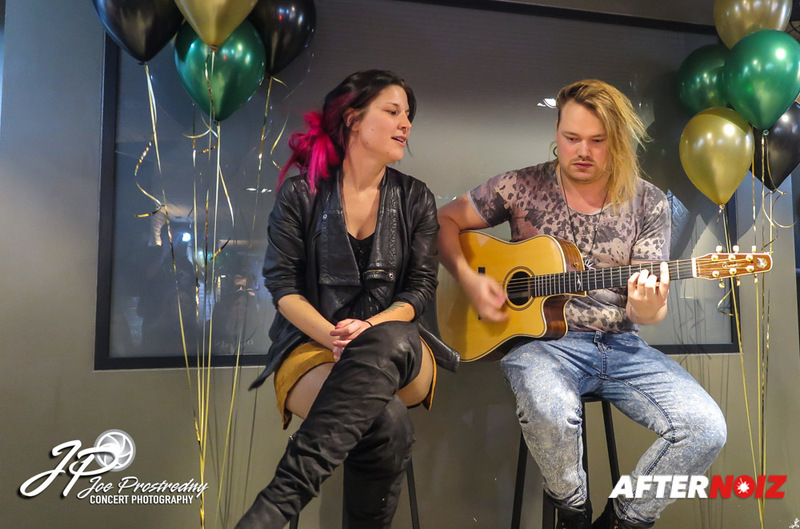 Before the concert began, forty lucky fans were invited to attend an exclusive preconcert private birthday party with the band including cake, balloons, Dutch party games, and an exclusive five song acoustic set from Charlotte and guitarist Timo Somers. 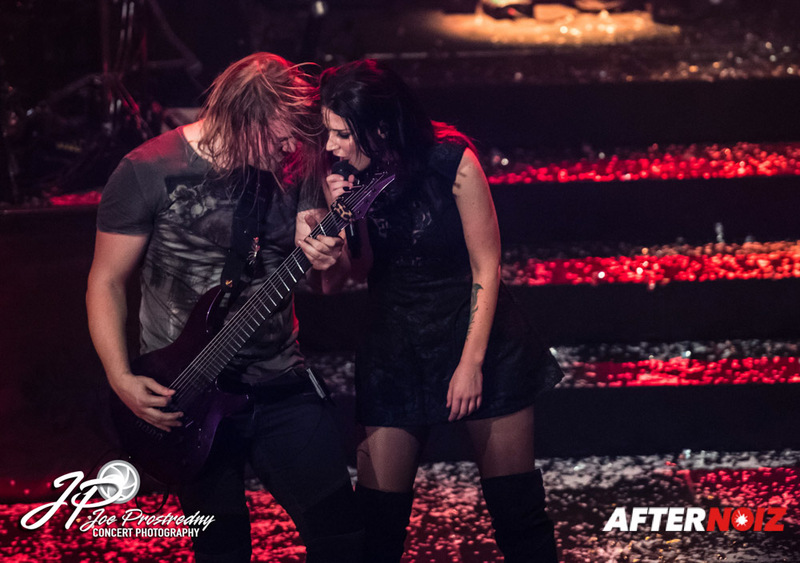 The acoustic set was only supposed to be three songs, but due to delays with the rest of the band finishing sound check, Charlotte and Timo had to extend the set with a couple of unrehearsed songs. The songs played included “Hurricane”, “Go Away”, “Cordell”, “Fire with Fire”, and “In Front of Me” (infected Mushroom cover). A bit of hilarity ensued during the last song when Charlotte forgot the lyrics and screamed out loud in embarrassment. 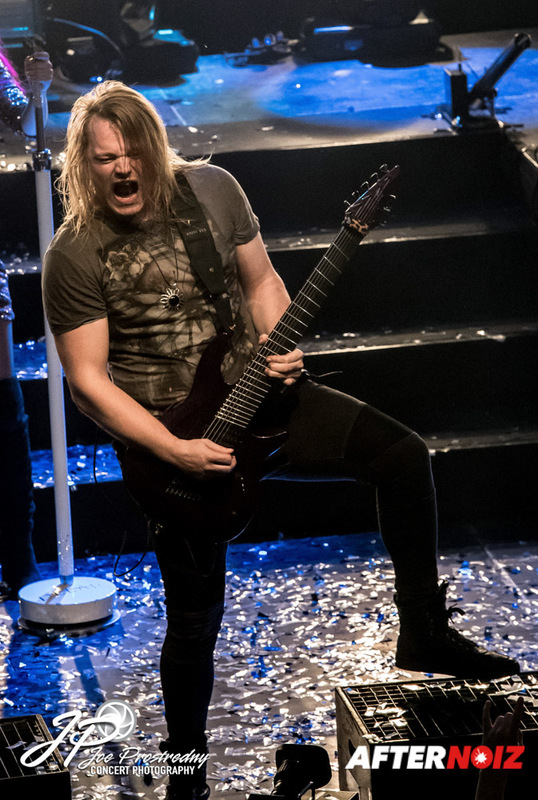 Timo kept playing the guitar as the tour manager frantically “Googled” the lyrics so Charlotte could finish. A truly unique and memorable experience for the fans! 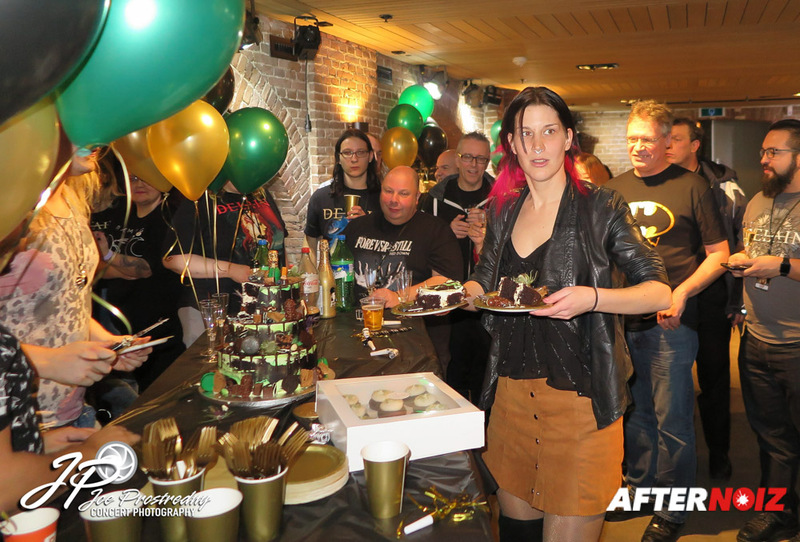 At the close of the acoustic session, the rest of the band arrived to serve birthday cake and Champaign, mingle with the fans, sign autographs, and pose for pictures. Then it was off to the main show! The main show began a few minutes early of its scheduled start time of 8:30 pm. As this was a special celebration, there was no opening band. 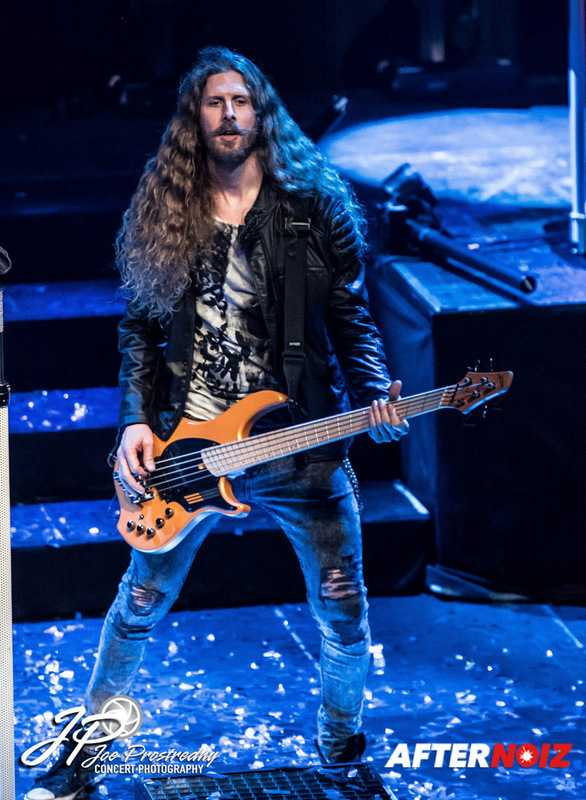 The majority of the show was performed by the current touring lineup of Delain including Charlotte on vocals, Martijn on keys, Timo and Merel Bechtold on guitars, Otto Schimmelpenninck on bass, and Ruben Israel on drums. 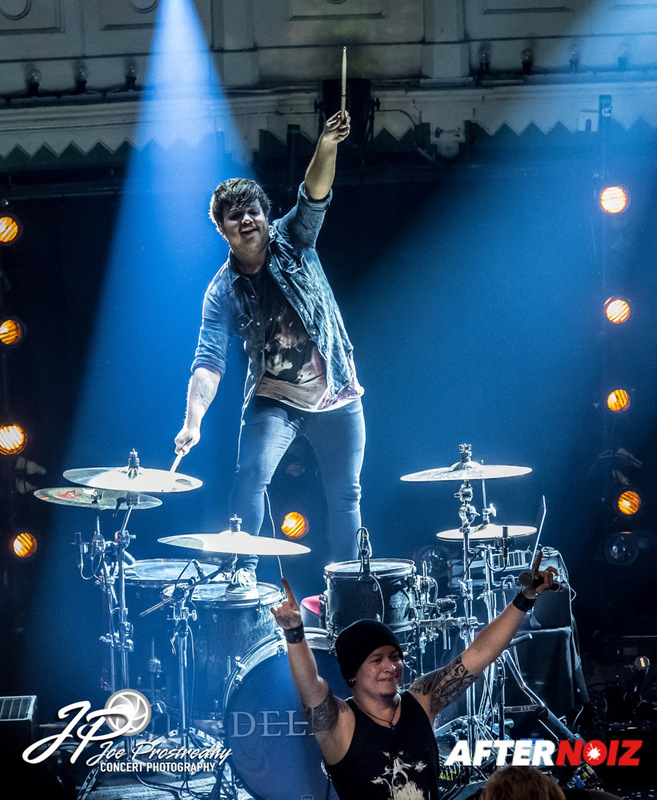 The stage was in two tiers with the drums and keyboards on the left and right sides of the upper riser. 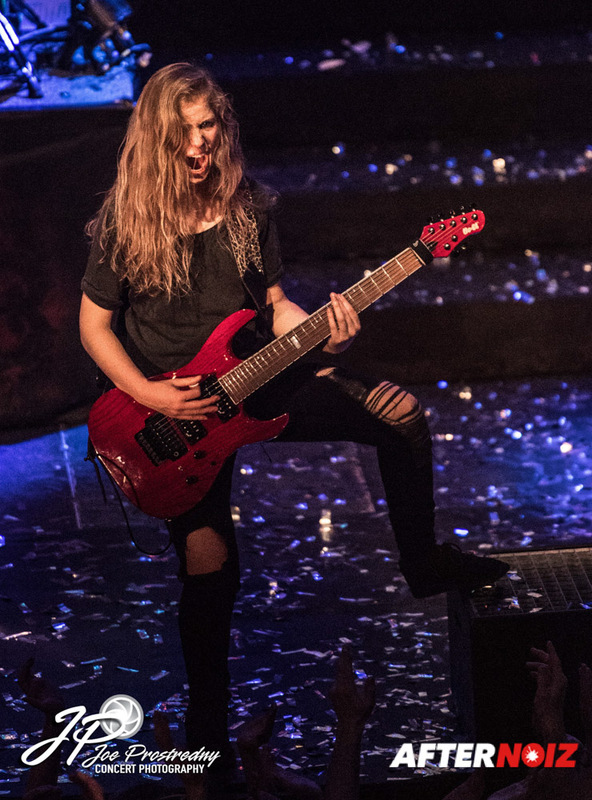 Charlotte and the rest of the band spent the majority of their time on the lower section, occasionally taking turns to perform from the center of the upper tier. 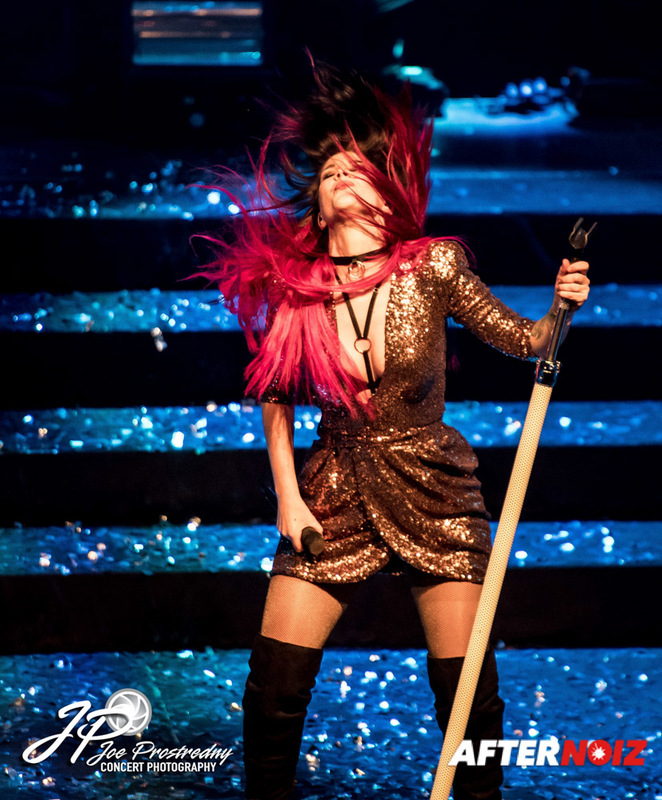 Charlotte began the show in the gold sequined dress, thigh high black boots, and long pink locks that have been her signature costume during the currently ongoing worldwide “Moonbathers” tour…. and her voice just soared to the heavens! 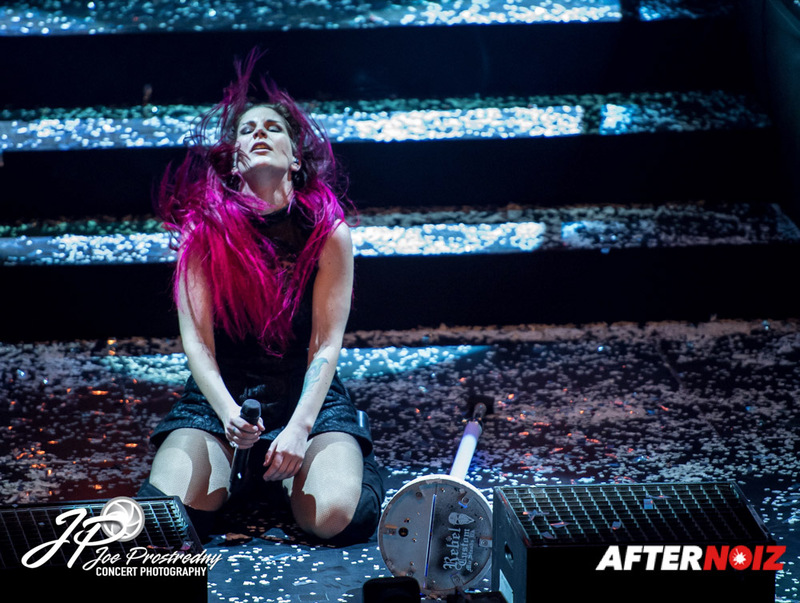 … or at least to the top of the very high ceiling in the Paradiso… The lighting was beautiful throughout the show and well-orchestrated to the songs. From the center of the venue, the acoustics were great, but I did hear some fans comment after the show that the sound was distorted off to the sides of the theater. 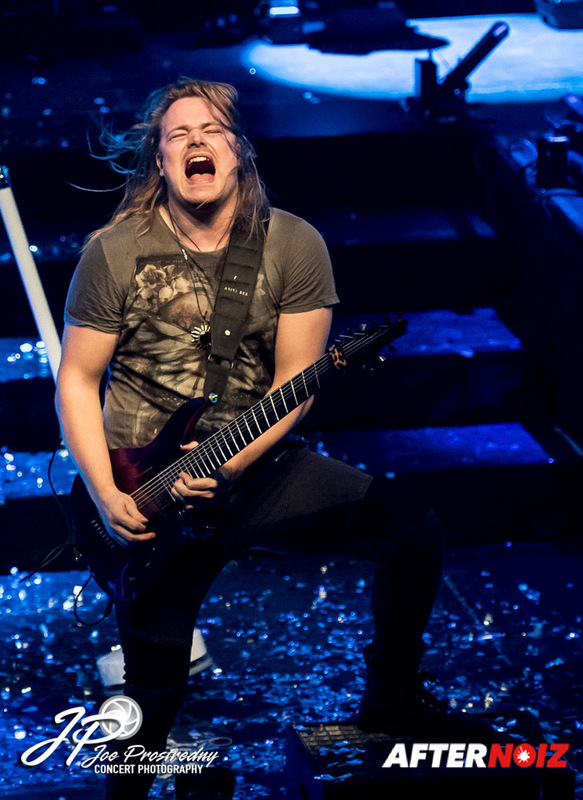 The concert began with the high energy “Hand of Gold” from the “Moonbathers” album. 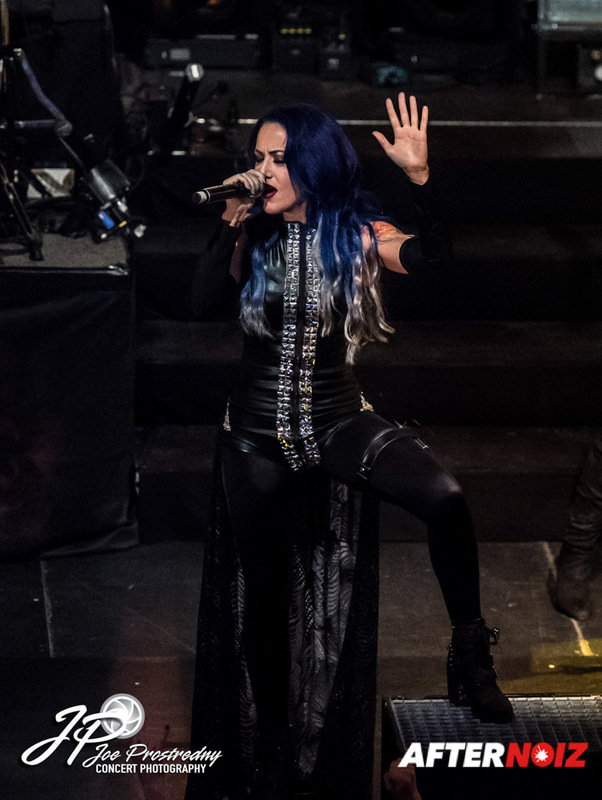 The crowd roared with approval when Alissa White-Gluz (Arch Enemy), the first guest artist of the evening, took the stage to reprise her role on the album by performing the vocals with Charlotte. 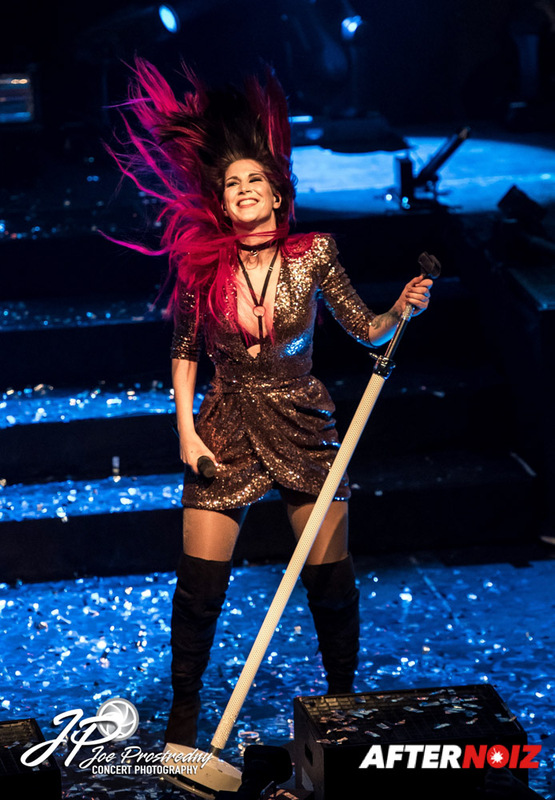 A massive explosion of glittering confetti engulfed the venue at the end of the song to set the tone of the almost two-hour party that had only just begun. Next up were two additional songs from the new album, the hard hitting “Suckerpunch” and “The Glory and the Scum”. 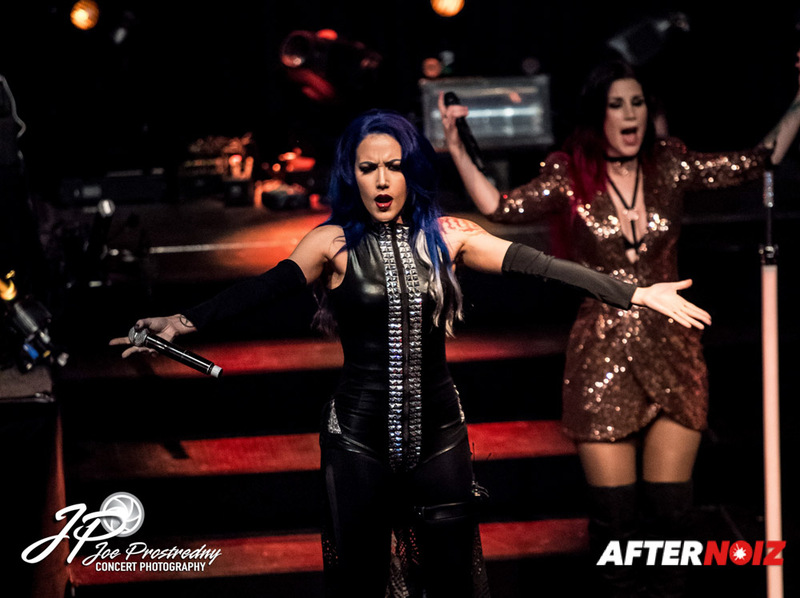 These were followed by slightly older crowd participation favorites, “Get the Devil Out of Me”, and “Army of Dolls” … and the band and the audience jumped and head-banged with great abandon. 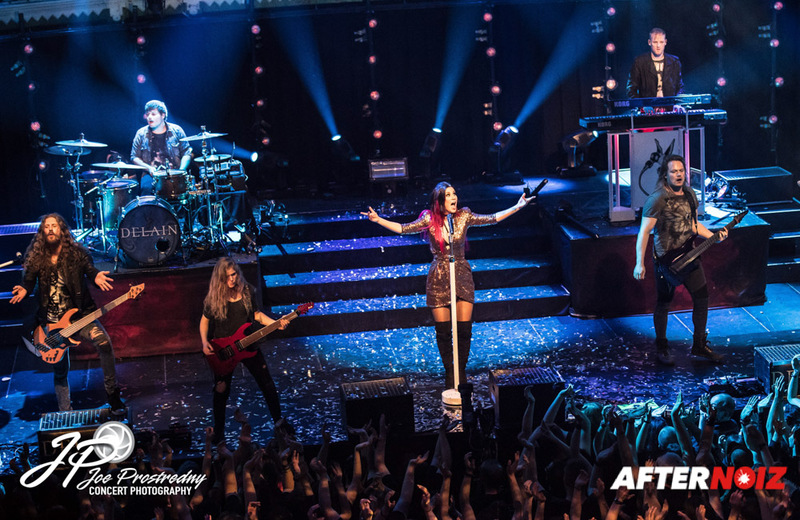 Next up was the new song “Hurricane” during which a large amount of snow like confetti dropped from the ceiling to simulate a storm. The weather theme continued with a beautiful performance of “April Rain”. 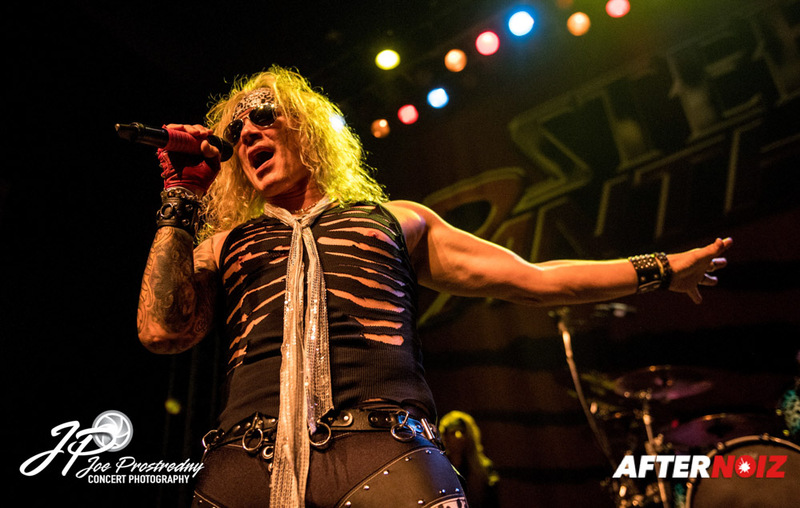 “Where is the Blood” was a special treat for fans as this song has only rarely been performed live in the past. 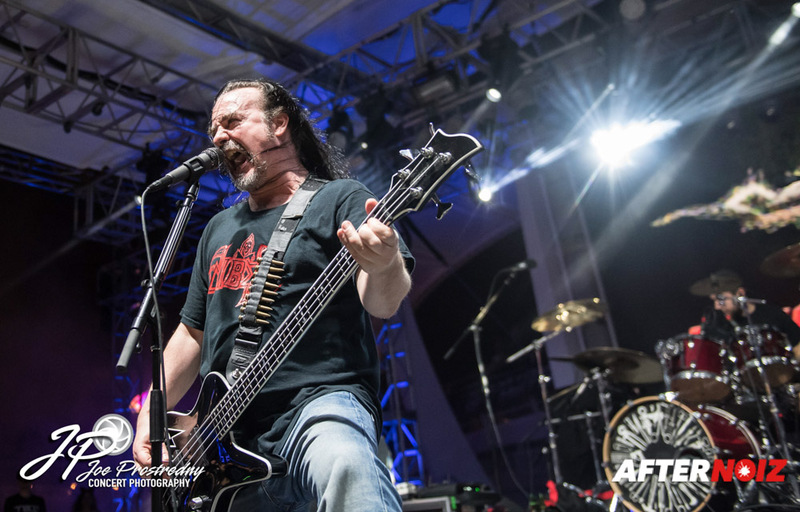 The second guest of the night, Burton C. Bell (Fear Factory), took to the stage to add his vocals to Charlotte’s as he had on the album version of the song from “We Are The Others”. 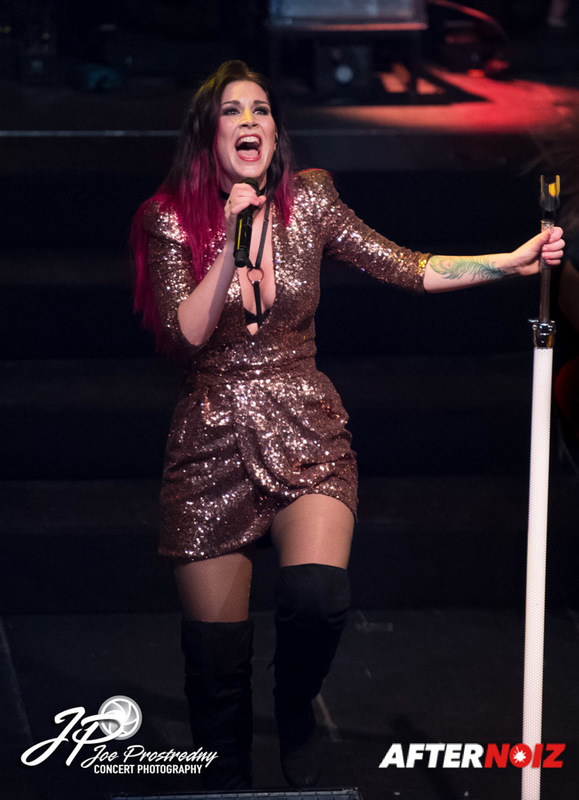 Immediately following, Charlotte took a brief leave of the stage to change into a short black dress before the band continued with the fantastic “Here Come the Vultures”. 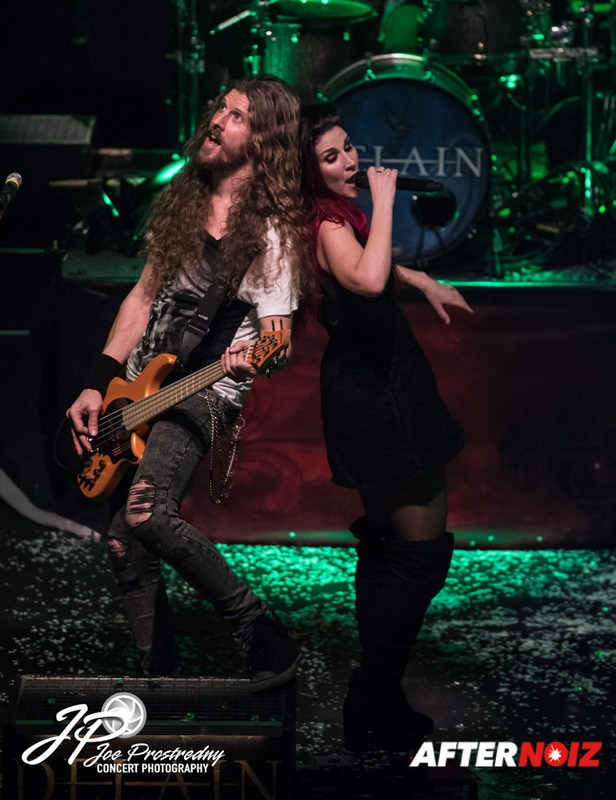 Delain brought us back to the new album with the energetic “Fire with Fire”, before bringing Alissa back to the stage to reprise here growls on “Tragedy of the Commons”. 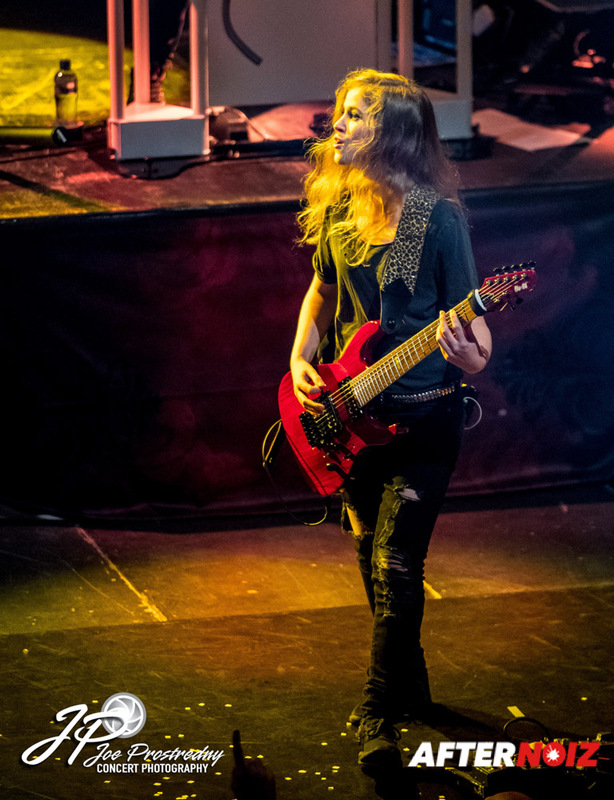 “Danse Macabre” followed before the band cleared the stage for a trip back in time…. 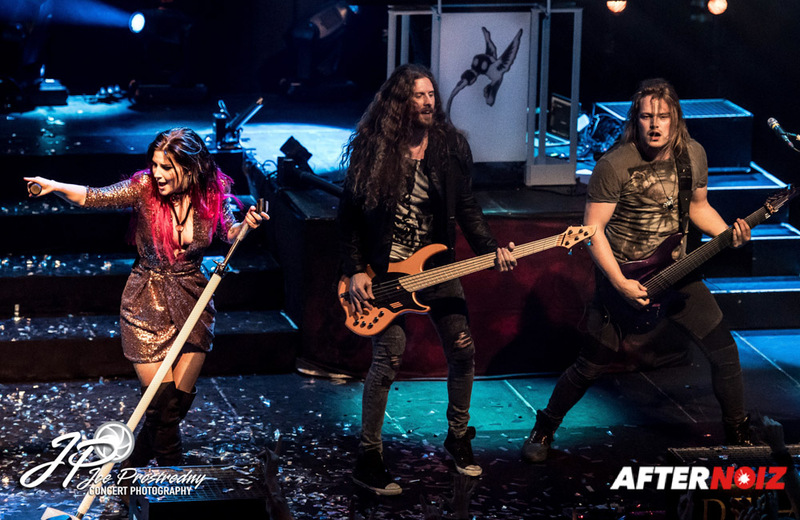 When Delain returned to the stage, the audience got a glimpse of the band of yesteryear. The long term fans were delighted to see familiar faces…. The newer fans were left wondering: “Who are those guys?”. 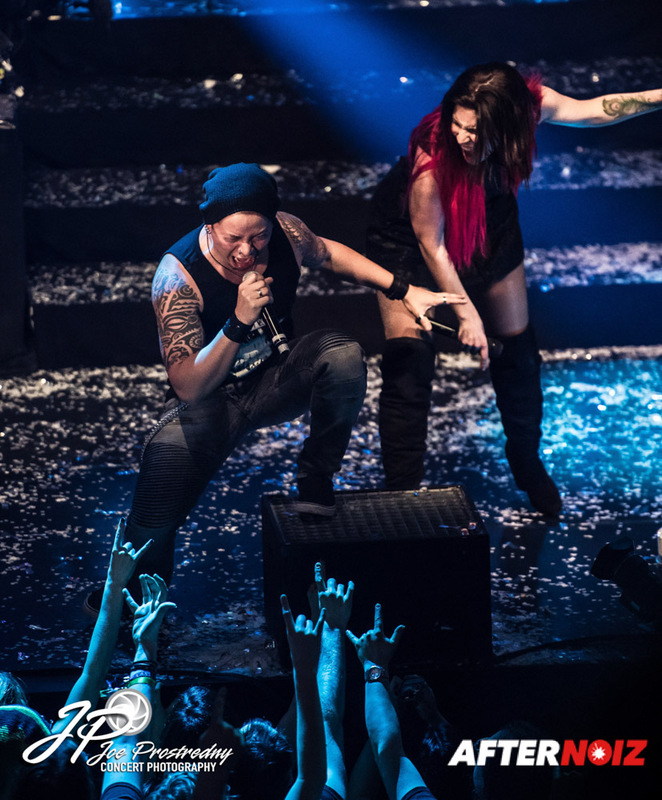 When Charlotte and Martijn returned to the stage, they had brought with them several previous Delain members including Rob an der Loo (original touring bassist), Sander Zoer (original touring drummer) and Guus Eikens (session and occasional touring guitarist as well as long term musical contributor). As appropriate, the quintet performed one of the most phenomenal songs from the original Lucidity album: “Sleepwalkers Dream”. 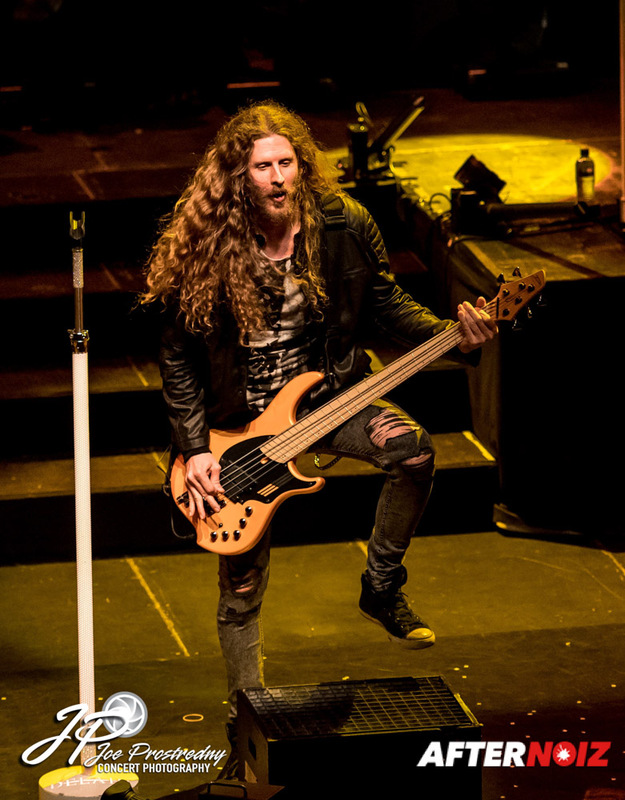 One of Delain’s frequent guest vocalists on their albums has been Marco Hietala of Nightwish fame…and most fans were hoping that he would also make an appearance on this special night. Unfortunately, Marco was unable to attend due to scheduling conflicts, but the band did the next best thing by bringing a virtual version of Marco to the show. 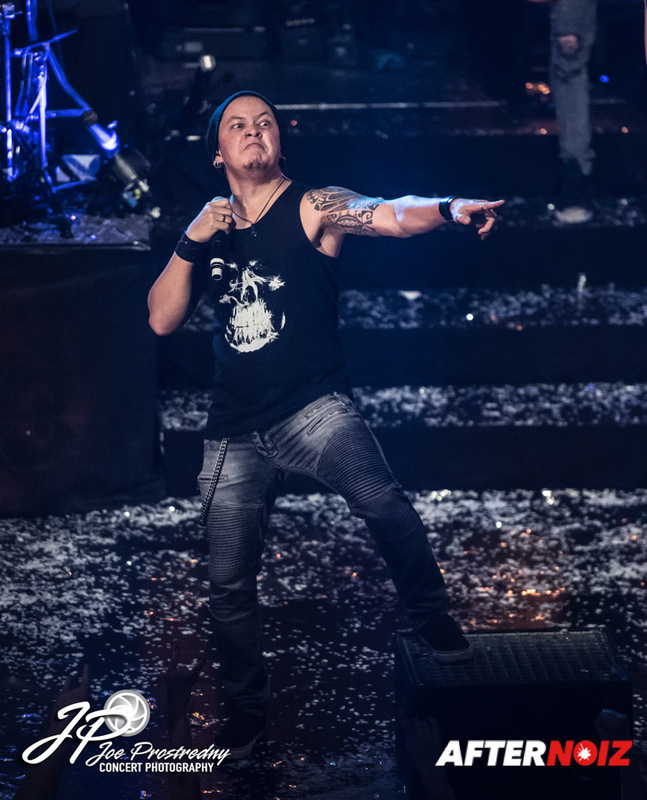 During the song “Your Body is a Battleground”, there was a large projection of a video behind the band of Marco singing his vocals on the song. The video is not one I’ve seen before, and it appeared to have been made specifically for this event. The fans roared with approval! 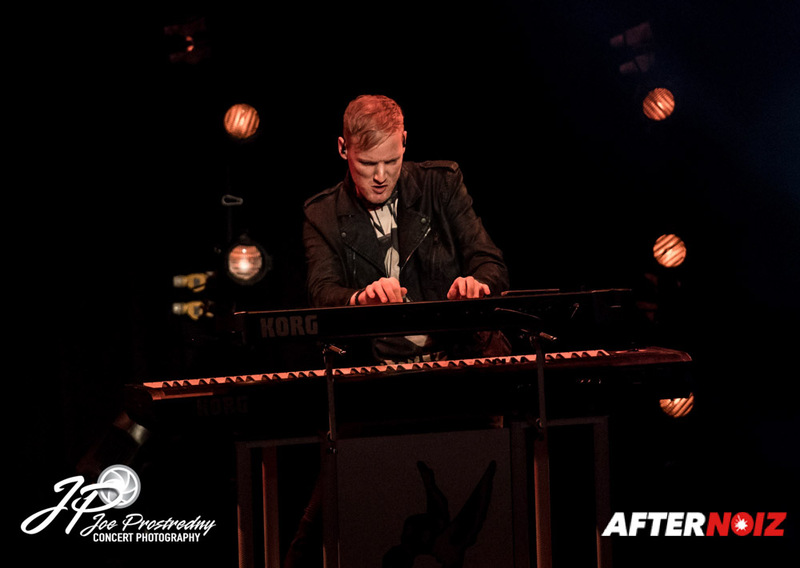 The ever popular “Stay Forever” was performed before the next guest took the stage. 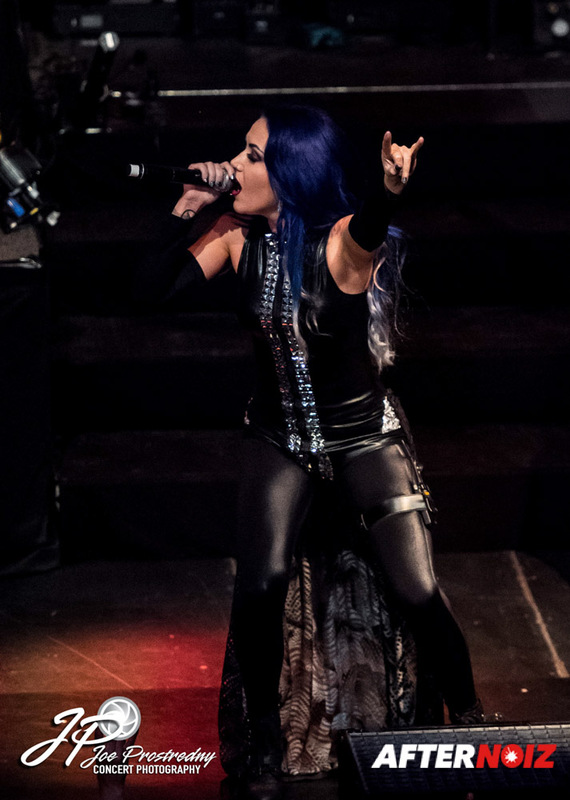 Liv Kristine (Leaves’ Eyes, Theatre of Tragedy) lent her vocals to two of the songs on the original Lucidity album and she returned to the stage on this night to reprise her vocals on a stunning rendition of “See Me in Shadow”. 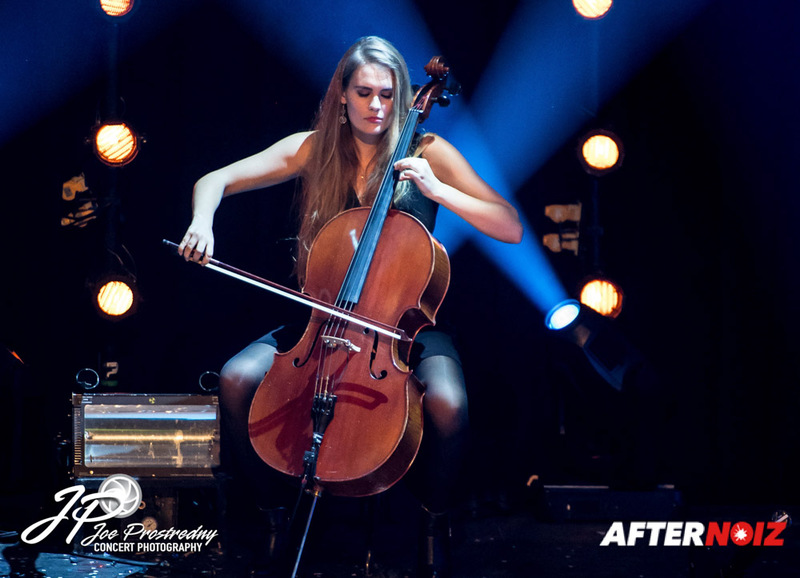 The entire song had a very surreal effect as a thick fog swirled around the feet of the performers while guest cellist, Elianne Anemaat added her musical talents from the middle of the upper riser. 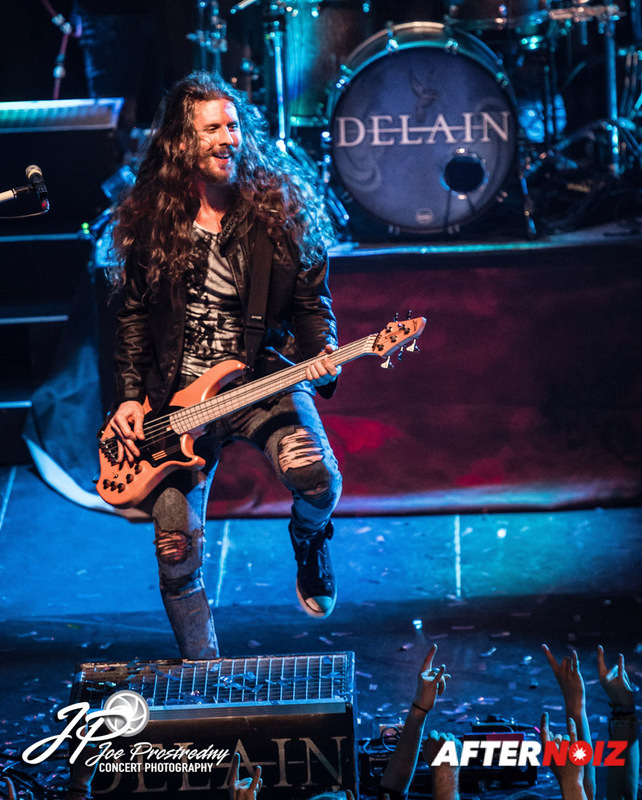 One of Delain’s most popular songs has remained “The Gathering” from their debut album. 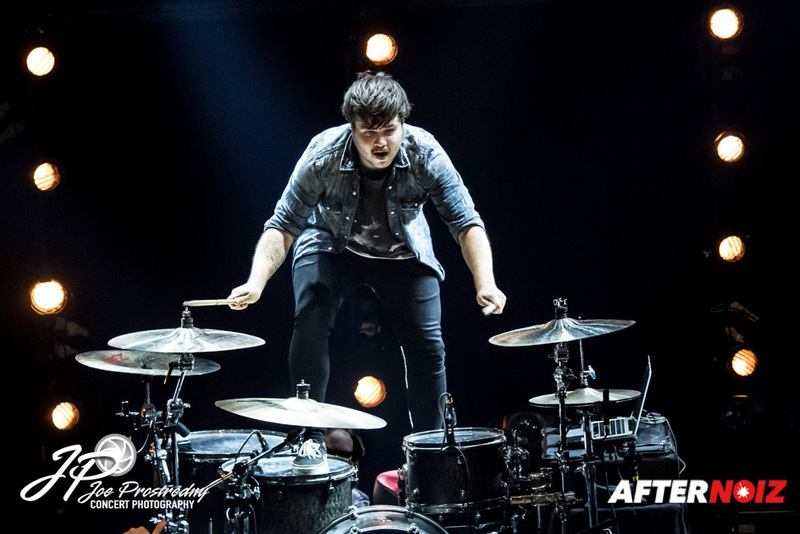 It is always one of the highlights of their concerts. It is a heavy crowd participation favorite with lots of jumping and singing along. Well, tonight was no exception, and crowd went crazy when the song began. The upper balconies were vibrating so much, I found myself really hoping they had been structurally reinforced since the building’s original construction 200 years ago. Fortunately for all, my fears were unfounded and there was no structural collapse of any part of the building. 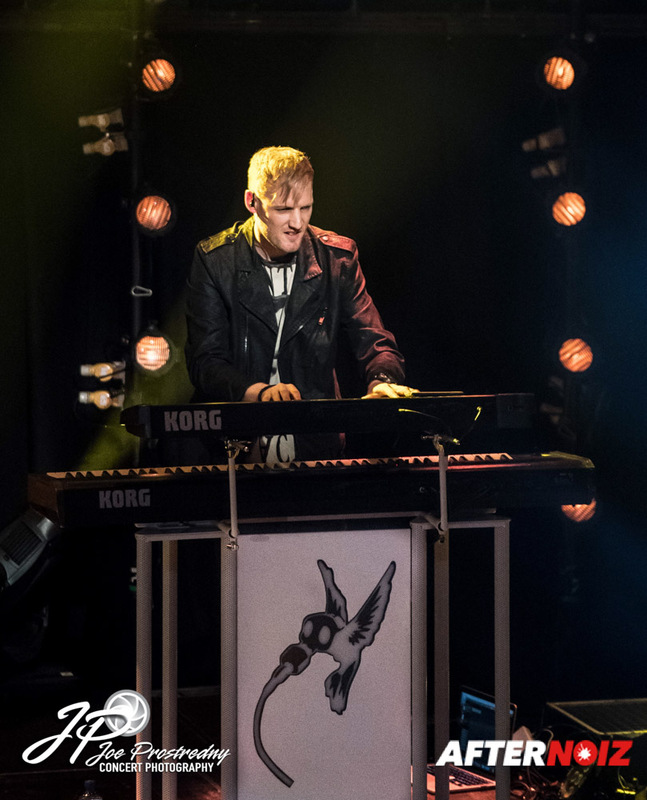 The band was able to continue the show without interruption to clear fallen debris by bring the famous growler George Oosthoek (Orphanage) to the stage to perform “Pristine” with the band. George’s guest appearances are always popular at concerts and it was great to see him be a part of this celebration. “Mother Machine” was the next song of the list. 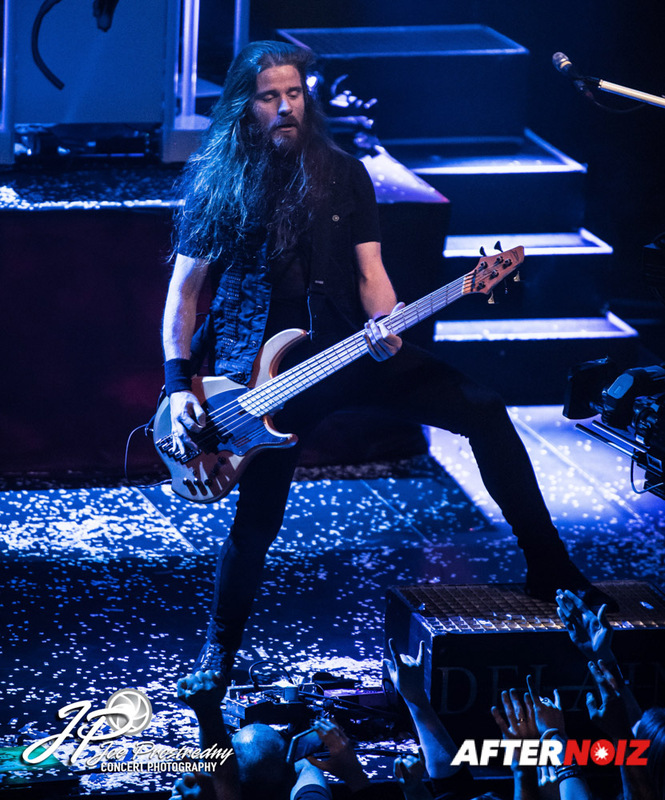 It was immediately followed by “Sing to Me” during which we got another virtual video visit from Marco Hietala and his stunning vocals. 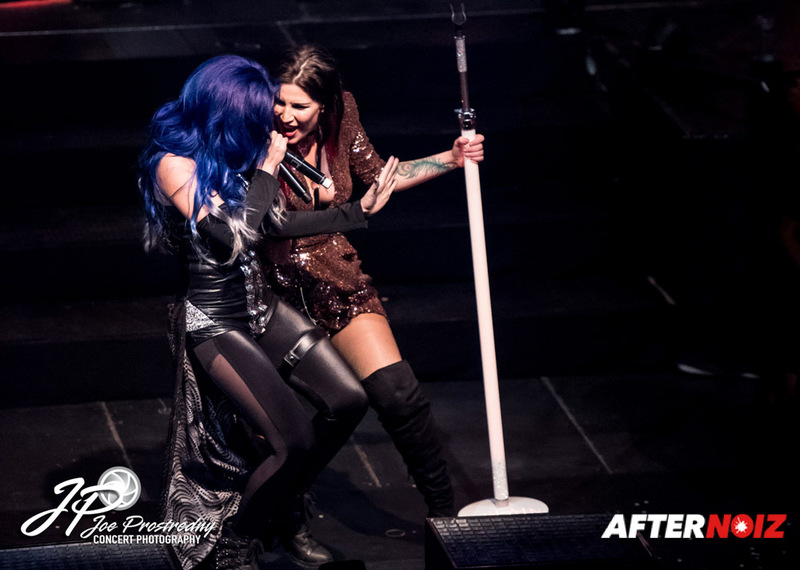 “Don’t Let Go” was the penultimate song of the night… a song that aptly represented our feelings. 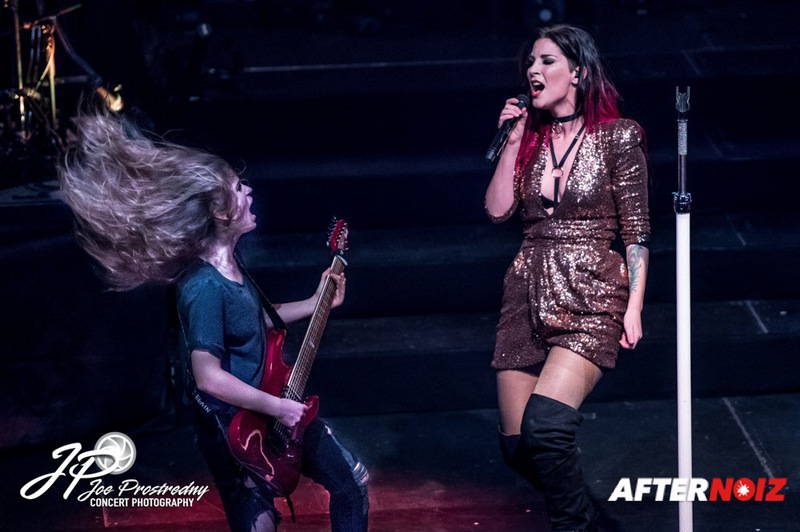 We knew the night was coming to an end, but none of us wanted to let go… Charlotte told us all that, although, “Don’t Let Go” would be an appropriate final song… she didn’t think the audience looked done yet. 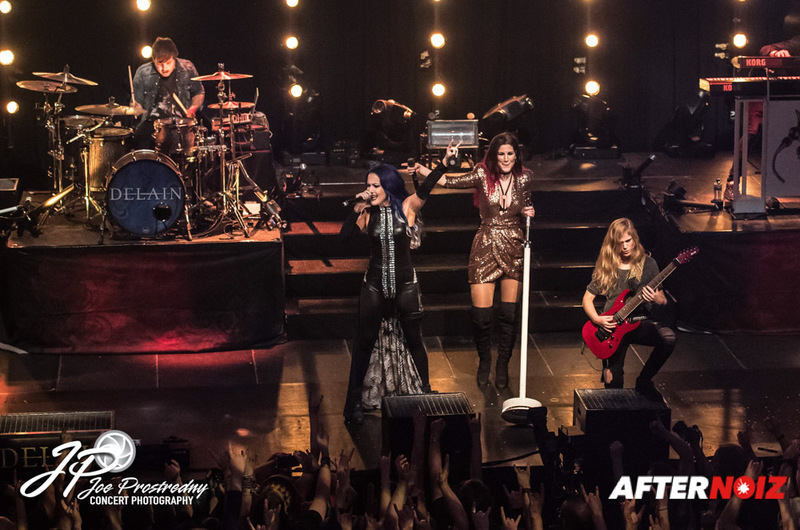 She promised us one more song, but only if we made “A Hell of a lot of noise” …. and the roar was deafening. Charlotte left us all to our screaming briefly before returning to the stage wearing the white dress from the “We Are the Others” video. And the last song was… of course… “We Are the Others”! 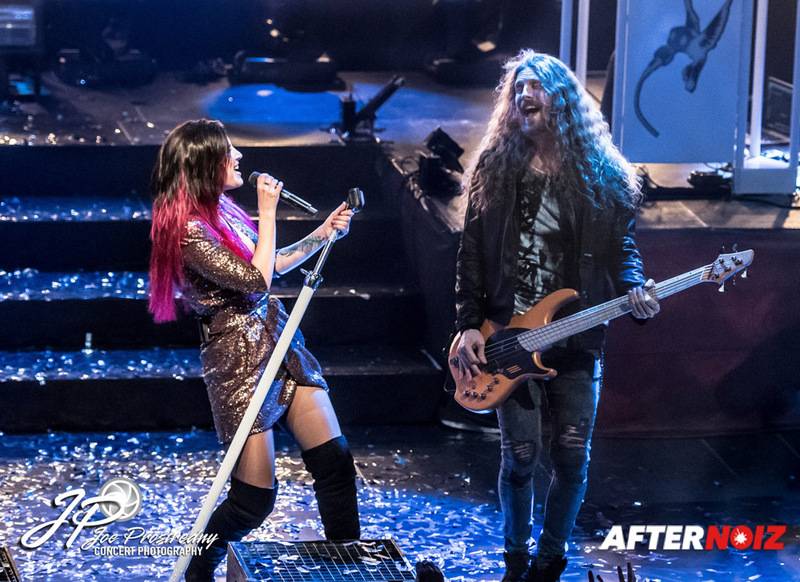 What followed were a lot of thank yous and good byes with all of the performers returning to the stage for the final bows. Charlotte thanked all the fans for their support over the last ten years and told us all she hoped we would be around for at least ten more. I, for one, am certainly planning on sticking around! 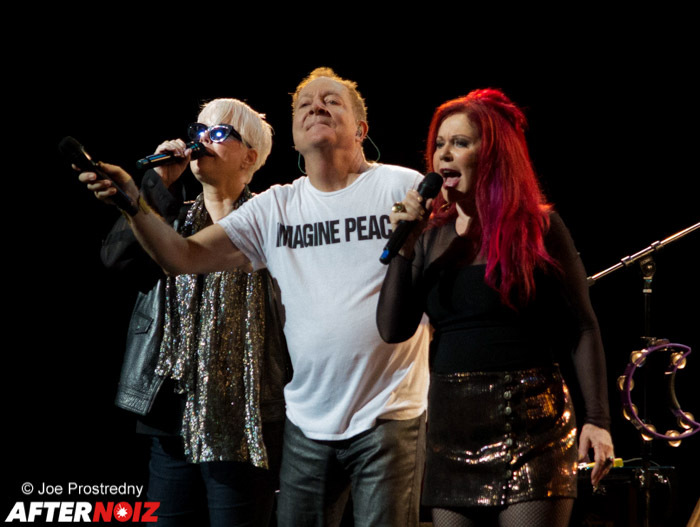 It was a phenomenal show… a great way to celebrate a decade long legacy of great music! Twenty-two songs…. 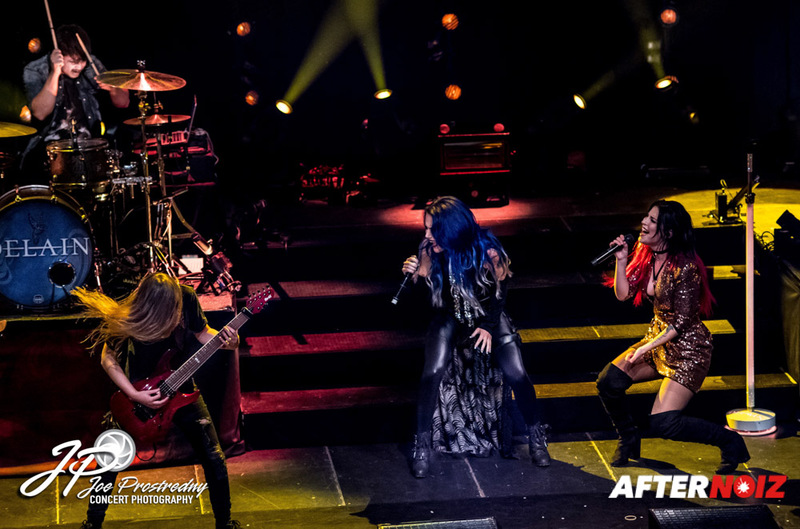 almost two hours of music… fantastic guests… the entire show was a visually and acoustically stunning performance! 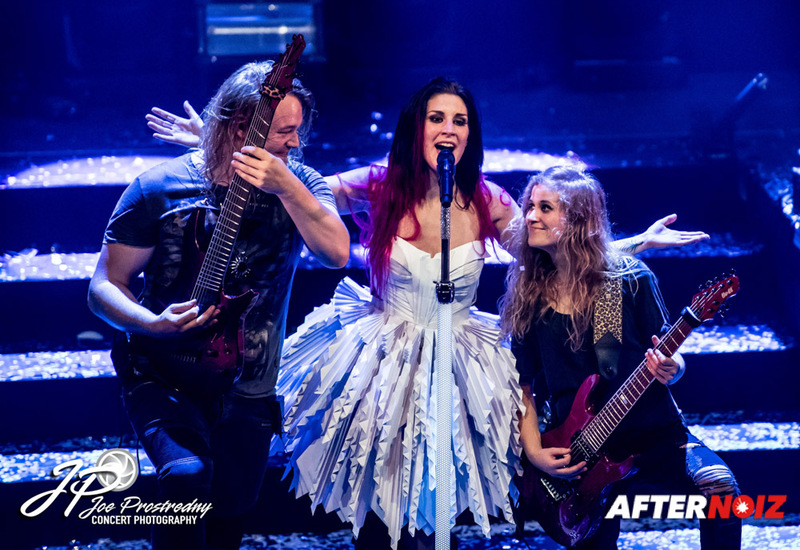 Like myself, many of the fans leaving the show were too excited to “call it a night”, and many of us made our way to the bars at the Leidseplein to relive the evening over drinks and conversation. 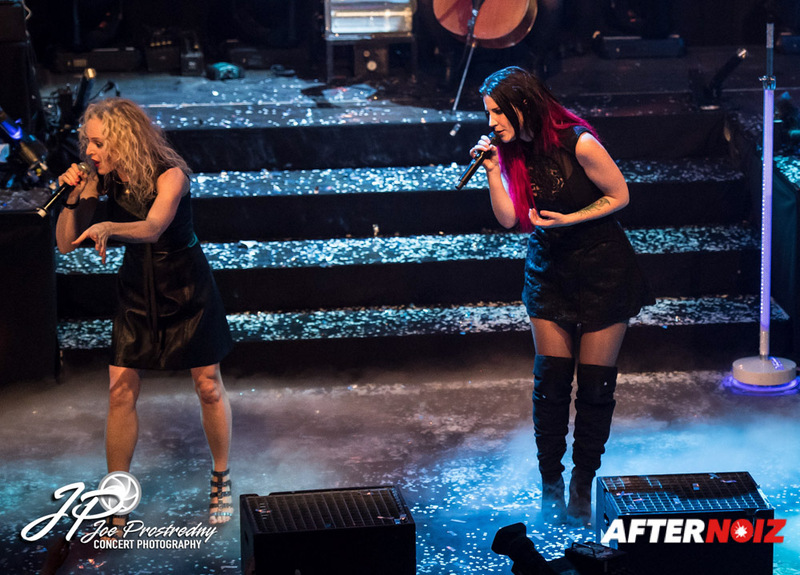 It was a great night and a great reminder of why Delain is one of my favorite bands. 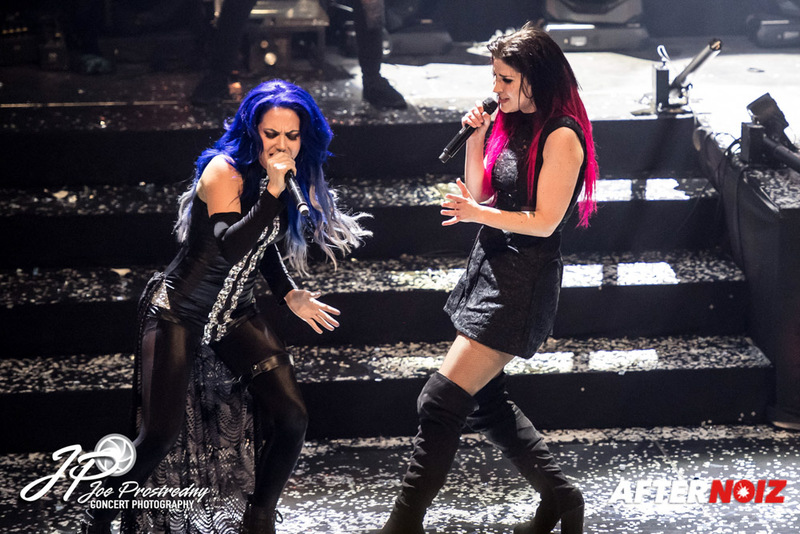 I cannot wait to see them again! And I won’t have to for long. 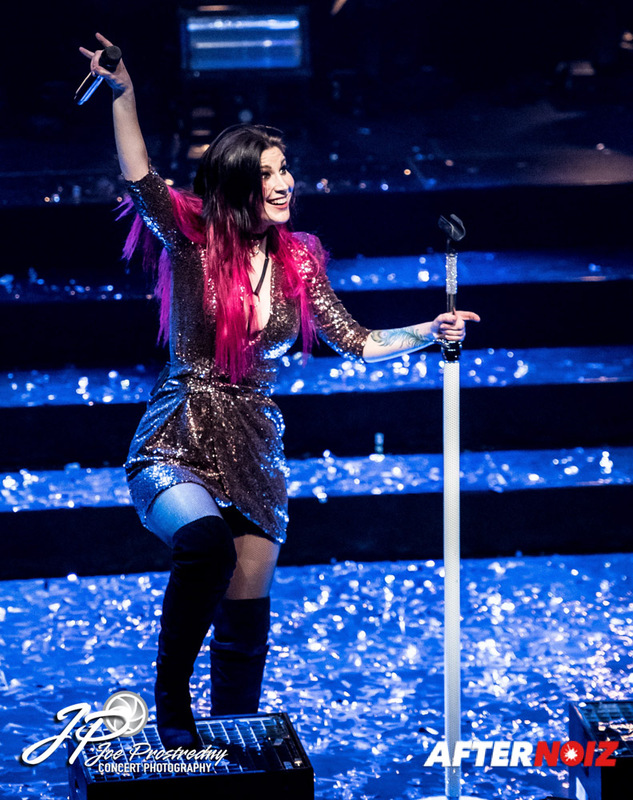 Delain is heading to North America for their first headlining tour of the continent. I’m not going to miss it…. and if you live in North America… you shouldn’t either! 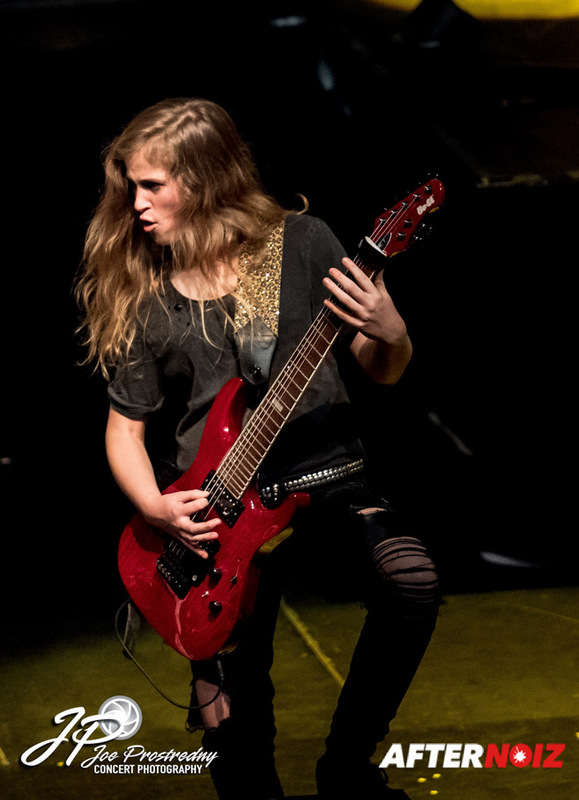 I’ll see you at the shows!